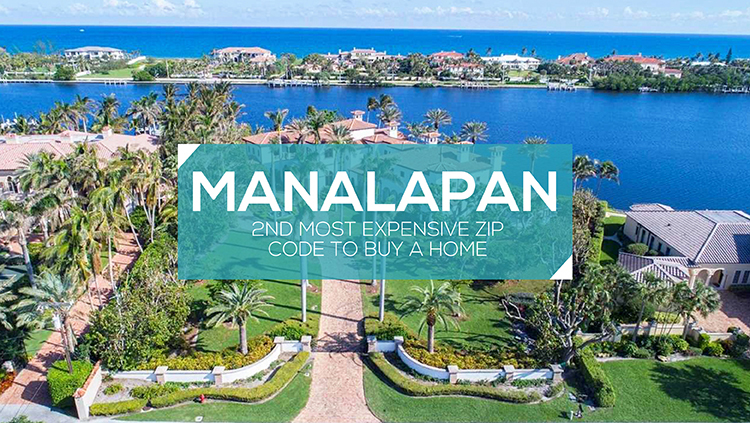 Manalapan has the honor or being the 2nd most expensive zip code to buy a home in the United States. Last year they were number 1. Manalapan Florida is the only Florida zip code that made the list of the top 10 Most Expensive Zip Codes. The majority of the other Top 10 Most Expensive Zip Codes were in New York or California. Why do luxury buyers love Manalapan? 1. The ease to fly in and out of to enjoy the Manalapan residence. Whether this is a primary home, seasonal home or weekend retreat, getting in is easy with both private and 3 international airports 15-60 minutes away. You have many options when traveling from your Manalapan home. 2. The weather is perfect. If you are looking for a place to escape winter for a few days or the entire season, this is the ideal locaiton. With warm days, comfortable nights and lots of sunshine, you will love Manalapan. 3. Water, water everywhere. Most homes are located on the water. Either the ocean, itnra-coastal or protected canals are your playgound. And in some locations, you have the intra-coastal and the beach which is the defination of pure paradise. This is a boaters dream with the easy access to the ocaan. Maybe kayaking or paddle boarding is more your speed. There are many areas to enjoy nature from your backyard while getting on the water. 4. You are minutes from some of the best golf in the United States. Pick up your clubs and enjoy one of the private golf clubs. 5. Do you love amazing dining experiences? You could eat somewhere different every night and still have options. 6. Palm Beach is minutes from you with Worth Avenue that is ideal for shopping and also great dining experiences. Are you wondering what luxury homes are for sale in Manalapan? See for yourself and then call us to see if Manalapan is ideal for your new home.